If you take the Ribcage rim and lace it to Odyssey's Clutch v2 Freecoaster hub, you’ll end up with one of the strongest BMX freecoaster wheels you can get. 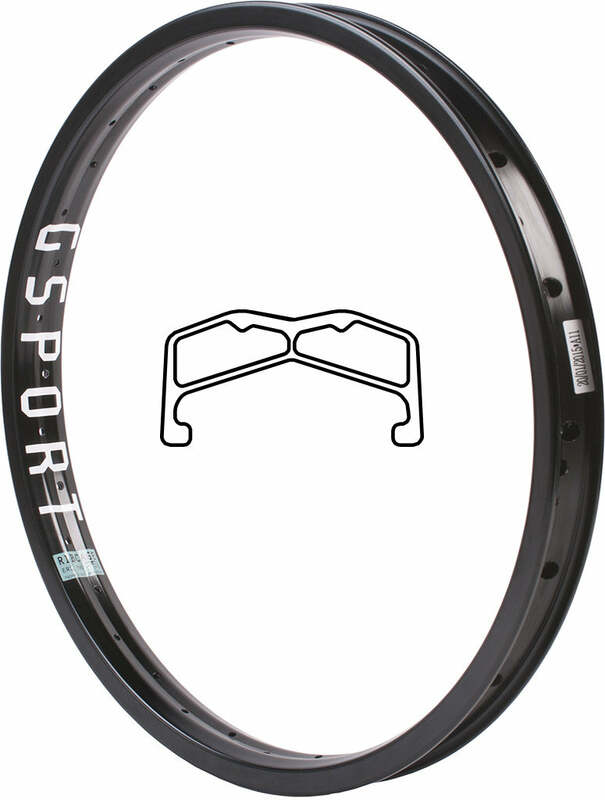 Matches the GSport Elite v2 Front Wheel. Available in LHD or RHD. The Clutch Hub is a traditional clutch-based coaster hub design that eliminates all of the problematic elements on ordinary hubs and only keeps the parts that work. A new, super-strong FULL 14mm axle, bearing configuration, and drag mechanism design stops the need for constant repairs. Equipped with external slack adjustment, which can be done with a 2.5mm hex key through a hub shell access hole (can be adjusted without removing the wheel), and an improved plastic hub guard spec. 2.5mm hex key slack adjustment through hub shell access hole. No wheel removal required.